Alex is a college student living in Frederick County Maryland in the USA. Studying Visual Communications he hopes to pursue a career in graphic design, 3D modeling or authoring and illustrating juvenile oriented material. Already pushing to his goal, Alex is the Layout and Design manager for his college newspaper. He also works at a retail used bookstore where he enjoys the plethora of fascinating books that come in all the time. 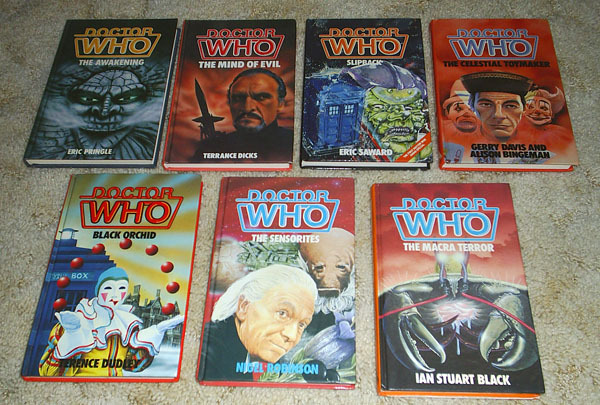 Collecting for a couple of years now, it all started with 4 Pinnacle novelisations that he bought off eBay. 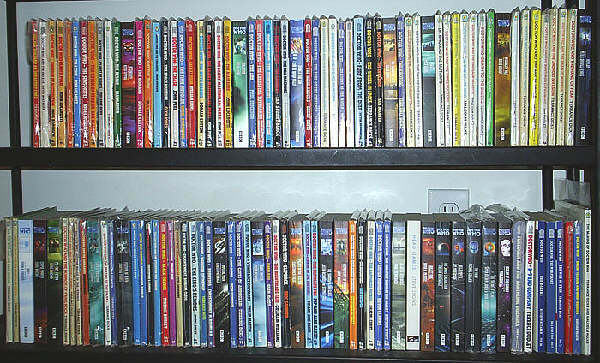 At the moment, Alex is into collecting Target paperback and hardback novels, as well as VHSs and DVDs. He hopes to expand into Doctor Who paraphernalia in the future. Alex finds the great majority of his collection from online purchases, almost all from eBay auctions. However he has made some rare finds when customers sell Doctor Who books to the bookstore he works at. Alex is most proud of his Target Hardcover novelisations because they are so rare to find in good condition. He also finds that the covers appeal to his artistic interests. Currently hunting down the remaining 75 or so paperback Target novelisations and 1980s hardback novelisations he still needs, Alex keeps meticulous records of his collection so he always knows what he has. Having many decent to good condition Target paperback duplicates in his collection, he is open to trading for items he still needs. 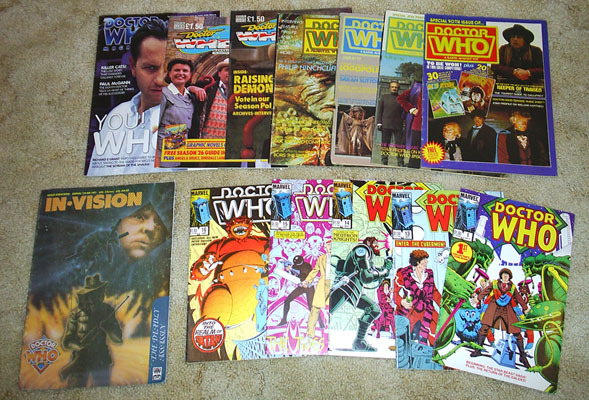 7 various issues of Doctor Who Magazine, 1 In-Vision, and 5 issues from the 1980's of the Marvel Doctor Who comics. Paperback collection, including Target novelisations and BBC Past Doctor books, a few BBC 8th Doctor novels, and a New Adventure. Seven Target/W.H. Allen hardback novelisations, all non-ex-library copies. The "Journey through Time" in hardback and "The Doctor Who Technical Manual" in paperback. Doctor Who Sound Effects on vinyl record in two different releases by the BBC. 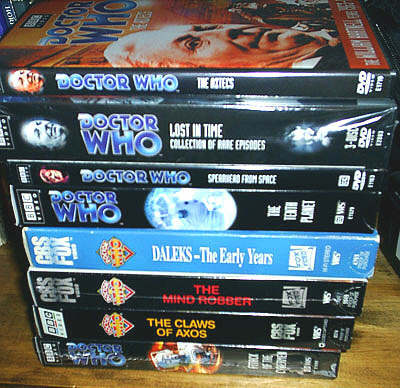 The second is still sealed and unopened, along with a promotional sticker from the Tom Baker era on the wrap. The official releases on video. All of the pictures on this page are the property of Alex Coblentz and may not be used or reproduced in any way without his explicit written consent.